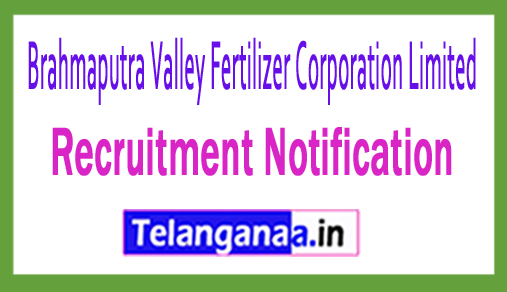 Job notification for BVFCL recruitment has been distributed by the Brahmaputra Valley Fertilizer Corporation Limited to inform the result oriented and hard working candidates for 11 uncertain posts of Plant Manager, Plant Engineer, Assistant Hindi Officer. Qualified claimants can apply for BVFCL vacancy by filling up the offline application form before the expiry date of 21 days. Eligibility Criteria: Job seekers must pass Engineering degree (Chemistry / Instrumentation / Electronics) / Master's degree with good academic record from well-accredited institution. Scheduled Castes / Scheduled Tribes / PWD / XSM candidates will be exempted from payment of application fee. Those candidates who are willing to apply for their upper age limit for jobs, they are 48 years (post 1,2), 40 years (post 2) 01-09-2018. Salary Package: Appointments to candidates for Plant Manager, Plant Engineer, Assistant Hindi Officer posts Rs. 24, 9 00 - 50,500 / - (post 1,2), Rs. 16,400 - 40,500 / - (post 2) which is offered by Brahmaputra Valley Fertilizer Corporation Limited. The selection of applicants for Plant Manager, Plant Engineer, Assistant Hindi Officer will be based on interview. How to fill out the BVFCL application form? To open the organization's official site at http://www.bvfcl.com, you must first open all the applications. Click BVFCL Recruitment Notification here. Brahmaputra Valley Fertilizer Corporation Limited invites Application for the post of Chief Engineer (Electrical). Apply before within 21 days of publication of this advertisement in the Employment News. Application Fee - Candidates belonging to General and OBC category Rs.200/- through Bank draft drawn in favour of BVFC Limited, Namrup, payable at SBI/UCO Bank, at Namrup, Assam-786623. SC/ST/PH candidates are exempted from payment of application fees. How to Apply BVFCL Vacancy - Interested Candidates may apply in prescribed application form along with attested copies of certificates and testimonials regarding age, qualification, experience, caste for SC/ST & valid non creamy layer certificate for OBC, PH certificate for physically challenged candidate from Competent Authority, two recent passport size colour photographs and Bank draft send to The Chief Personnel Officer, BVFCL, Namrup, P.O. Parbatpur, Dist: Dibrugarh, Assam, Pin-786623 within 21 days of publication of this advertisement in the Employment News. Last Date for Submission of Application form - within 21 days of publication of this advertisement in the Employment News.